Today, the Making Every Adult Matter (MEAM) coalition is welcoming six new areas to the national MEAM Approach network. The MEAM Approach helps local areas design and deliver better coordinated services for people experiencing multiple disadvantage. It’s currently being used by partnerships of statutory and voluntary agencies in 21 local areas across England, and this number increases to 27 today. In these places, local authorities, statutory agencies and the voluntary sector are working together to transform the lives of people experiencing a combination of homelessness, substance misuse, contact with the criminal justice system and mental health problems. The local areas use a framework called the MEAM Approach to help shape their work and receive support and advice from MEAM coalition staff based across the country. The partnerships all share an ambition to work alongside people with lived experience of multiple needs to change systems for the better. This video shows the type of work that is taking place. Our evaluation partner, the research consultancy Cordis Bright, is working alongside the MEAM Approach network over the five year programme to understand and measure progress. 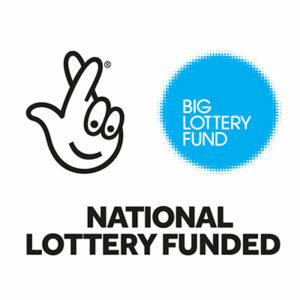 By working with the 27 MEAM Approach areas (rising to 40 by the end of the programme) and the twelve partnerships that are part of Big Lottery Fund’s Fulfilling Lives programme, we will combine our evidence, knowledge and expertise to ensure that everyone experiencing multiple disadvantage across England can reach their potential and contribute fully to their communities.